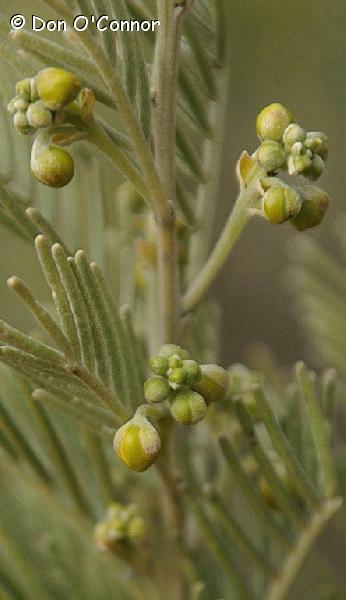 Silver, Woody or Blunt-leaved Cassia (Senna artemisioides - syn. Cassia artemisioides). Mount Ohlssen Bagge Hike, Flinders Ranges National Park.